The Gold Coast continues to go from strength to strength as the number one Schoolies destination of choice, with safety one of the key reasons behind its growing popularity, according to CEO of schoolies.com, Matt Lloyd. “The feedback we consistently receive from students and parents is that the schoolies experience is an overwhelmingly positive one of friendship and fun times within a safe atmosphere,’’ Mr Lloyd said. Mr Lloyd said bookings for 2016 were already in excess of 15,000, more than 10% higher than the corresponding period last year, putting Schoolies on track for one of its best years on record – and the signs for 2017 were equally strong. Schoolies.com, the event’s original and number one operator for more than 28 years, will open 2017 bookings in April and is already reporting strong levels of enquiry from current year 11 students. “The events that have been put in place, the exclusive safety measures and the excellent work of the police and volunteer groups such as Red Frogs are huge drawcards for the Gold Coast,’’ Mr Lloyd said. The reviews and feedback we’ve received to date from both parents and students about Schoolies are extremely positive and we’re really pleased that for the vast majority of kids, Schoolies is a highly safe and enjoyable experience,” he said. 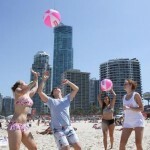 “Schoolies.com’s unique safety measures combined with the various State Government controls for the Gold Coast provide a benchmark for a safe environment. 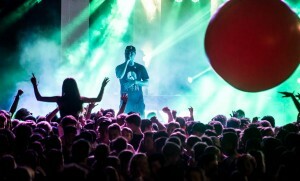 All schoolies.com customers enjoy a range of exclusive benefits such as supervised events, Schoolies photo ID, comprehensive security arrangements at accommodation, 24-hour helpline for students and parents, financial security and more.